Live your best badass life! The 30 Days to Boosting Your Strengths Guide includes short exercises to help you focus on identifying your strengths and then using those strengths in either your personal or professional life (or both!). Now available for purchase. 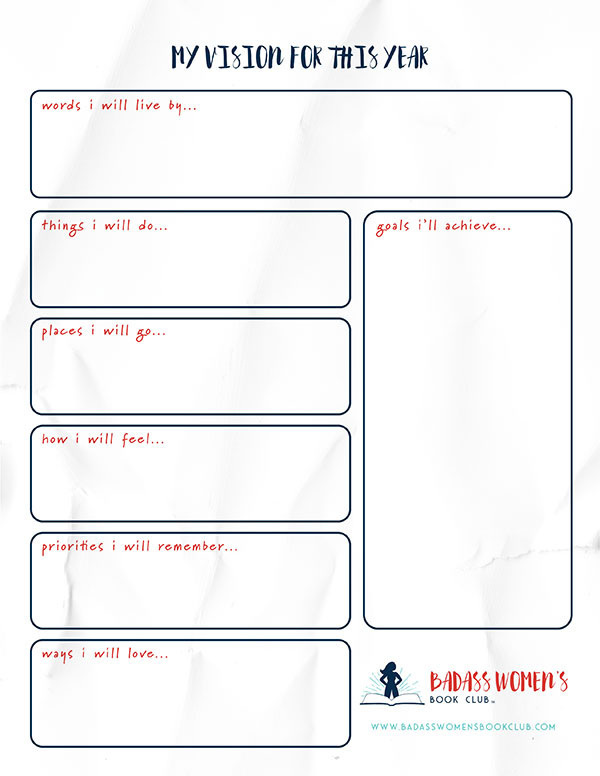 Use this resource to help plan your vision for the upcoming year and to serve as a reminder of your personal priorities and goals. I hope you enjoy these ideas of how to Bring Some Badass to Your Next Book Club Meeting! All are based on ideas generated from real Badass Women’s Book Club picks!